This assumes a single-level residential water loss (Class 2 | Cat 1). 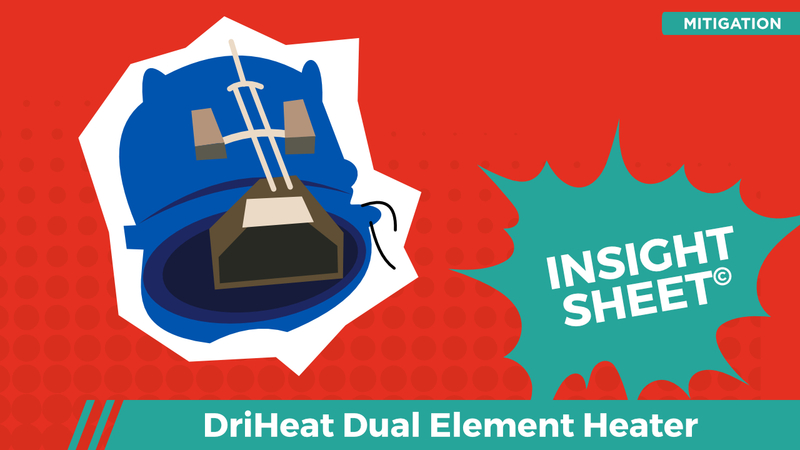 DriHeat performance drying equipment was exclusively employed. The project required remote monitoring to ensure the affected building material was dried slowly and thoughtfully – thus, mitigating the potential for cracking etc. This piece of equipment is universal, and it can be mounted on Axial or Centrifugal/Turbo/Snail Air Movers. 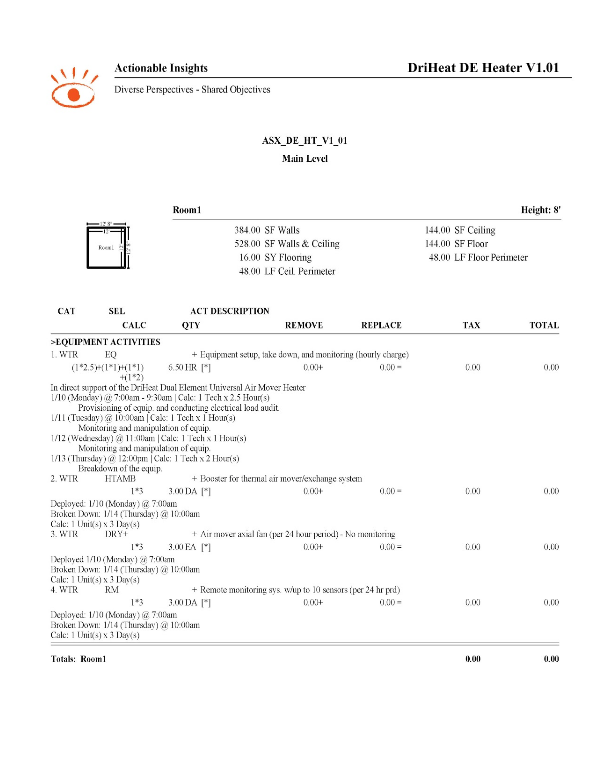 This Insight Sheet exists to clarify how one might invoice for a DriHeat Dual Element Universal Air Mover Heater.